My good friend and I have a regular tradition of shopping on Black Friday. Okay, we don’t wake up before dawn or stand in mile-long lines waiting for the stores to open. She swings by to pick me up around 10am and lunch is a high priority on the day’s agenda. For us, the day after Thanksgiving is really just a day to get together and check a few items off of our holiday wish lists. When we started this tradition about a decade ago the day after Thanksgiving signaled the first official day of the holiday season. Even the especially eager decorators waited until Friday to swap out their fall motifs for Christmas lights and evergreen wreaths. It seemed an unspoken rule (or maybe just an unnecessary one) that Christmas preparations commenced only after the turkey and stuffing leftovers were packed into the refrigerator. Alas, this year lighted trees and shiny tinsel started appearing in unison with jack-o-lanterns and witches’ cauldrons. Based on some of the pictures in my social media feeds (of stocking hung mantles and white icicle lights), you’d hardly know that Thanksgiving was still an American holiday being celebrated. All but lost in this rush toward December 25th is the beautiful season of Advent. Advent, which spans the four Sundays before Christmas (the weekdays are included), is a time of preparation. Like the long trek Joseph and Mary made toward Bethlehem just before the Nativity of Jesus, we might think of Advent as our journey in anticipation of both the anniversary of Christ’s birth and His second coming. Advent invites us to savor the days at the start of a new liturgical year. The very meaning of the word, derived from the Latin ad-venire, calls us to come to the Lord. It is with this in mind that we ought to reconsider this frantic pace that has us bypassing such an important (and truly necessary) season. If you’re not already in the habit, Advent is the perfect time to delve into the daily Word. Whether you thumb through your Bible or google the day’s readings via your cell phone, you’re sure to benefit from reconnecting with God’s Word; which is as relevant today as it was 2000+ years ago. Of course, we’re called to perform the works of mercy throughout the year. But clothing the naked and feeding the hungry take on a special sweetness when we do them while contemplating our Savior wrapped in swaddling clothes lying in an animal’s manger. On each of the four Sundays prior to Christmas, the Church lights one more candle in the Advent wreath. We should follow suit in our own homes by lighting our own wreaths. 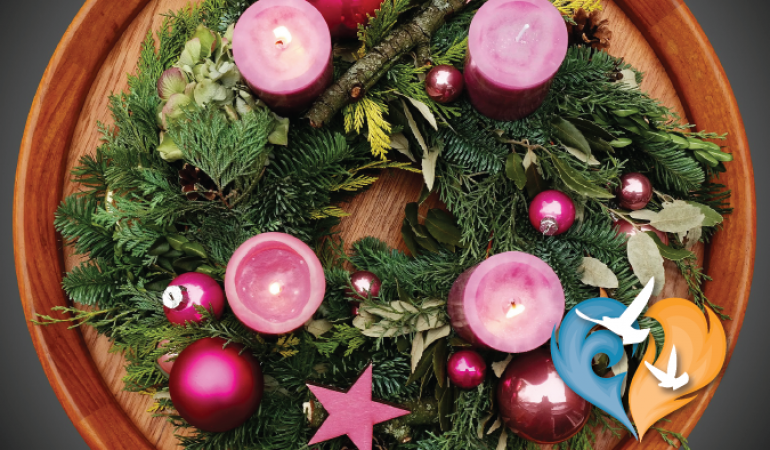 Spend a little time researching the meaning of the different elements of the wreath (circle, evergreen, purple and pink candles) and share your knowledge with others. Since I have little ones in my home who are eager to be included in the candle lighting, I made them their own child-friendly Advent wreath this year. You can check out the full instructions on my blog, Blessings in Brelinskyville. With darkness arriving so early in December, this is the perfect time of year for stargazing. Why not pour some cups of hot cocoa and head outside to count the stars? Like the wise men who followed His star, let the wonder and awe of the night sky draw your mind closer to the One Who made the firmament and everything under it. When Joseph and Mary arrived in Bethlehem they found no place to rest their heads. Every travelers’ inn was already filled with strangers and no one offered to give up their place for a young, expectant mother. 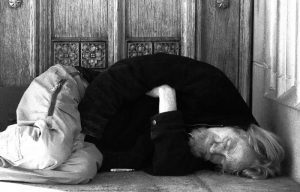 Consider your own home and heart this Advent; are they welcoming places? Perhaps, you could invite someone new over for dinner or simply offer a few extra smiles to strangers when you’re at the market or office. Also known as the St. Andrew’s Christmas novena, this traditional prayer begins on November 30th (the feast of St. Andrew) and continues until December 25th. Prayed 15 times each day it can be a challenge, but it is sure to orient your heart toward our Lord and open the treasury of grace. Giving gifts to loved ones can be a rewarding experience. Seeing the joy on their faces, hearing their words of thanksgiving can be a gift in and of itself back to the giver. However, giving to someone who cannot reciprocate in any way is a truly selfless act of generosity. Years ago I had the opportunity to give a present to a homeless man named Charles and the memory sticks with me even today. Why not drop some presents off at the local homeless shelter or take a wish list off your church’s giving tree and be Christ to a stranger? Attending Holy Mass is always the best way to draw nearest to Jesus. Why not make a point of attending a few more times than you ordinarily would? Make time in your busy schedule and go to daily Mass or be sure to observe First Friday and First Saturday liturgies in December. The Lord of the universe came to us in the form of a tiny, helpless babe. There was no fancy, soft crib into which His mother could lay Him. Our family has a tradition of lining a crib for Jesus with our good deeds. We made a simple wooden manger which we place in a central location inside of our house. Then we invite our children to place one piece of straw (we actually use thin strips of paper purchased from a craft store) in the crib every time they make a sacrifice or do a good deed. The goal is for our whole family to fill the manger; thereby, creating a soft bed for the Baby Jesus by the time He arrives on Christmas. Most of us go to extra measures to get ready when we’re planning to attend a party. We clean ourselves up, choose the proper clothes and put our best foot forward. Just as we want to be party-ready, the sacrament of confession is the ideal way to get Mass-ready. Whether you are a regular confession-goer or even if it’s been years since you’ve made a good confession, meet Jesus inside the confessional this Advent season. Remember, there’s no sin that’s unforgivable. Every poor choice you’ve ever made, every callous oversight, every ugly indiscretion can be washed away through the sacrament of reconciliation. Why not make sure you’re truly ready to receive Jesus this Christmas by first making a thorough confession? Check out this guide for making the most of confession. These ten ideas are part of my strategy for slowing down the pace and more fully celebrating the season of Advent. How will you celebrate Advent this year?